Prominent & Leading Manufacturer from Anand, we offer parwal tissue culture plants, spine gourd tissue culture plants, kantola plants, tissue culture parval plants, pointed gours plants and drumstick plants. Our company supplies best quality tissue culture parwal plants. KANTOLA commonly known as spiny gourd or spine gourd and also known as prickly carolaho, Teasle gourd, kantola, is a species of flowering plant in the gourd family. It is used as a vegetable in all regions of India and some parts in South Asia. It has commercial importance and is exported and used locally. The fruits are cooked with spices,or fried and sometimes eaten with meat or fish. In Sanskrit it is called as karkotaki(), karkoti(). In Tamil it is called as mezhuku-pakal, pazhu-pakal. In Oriya it is called Kankada.In Assamese it is called bhat-kerela, in Manipuri it is called "Karot" and in Bengali kakrul or ghi korola. In Telugu it is called boda kakara and on the east coast of Andhra it is called aa-kakara-kaya. In Gujarati it is called Kankoda and is cooked the same way Karela is cooked. In Sri Lanka,it is known as 'Thumba' or 'Thumba Karavila'(' ') in Sinhalese. In Marathi it is called 'Kartole' and in Mizo as maitamtawk. In Kannada it is called mada haagala kaayi ( or ). In Chhattisgarhi it is called 'Kheksi'. It is propagated by underground tubers. 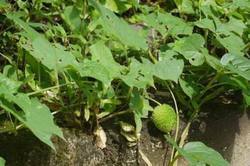 It has small leaves, small yellow flowers, it has small, dark green, round or oval fruits. It is dioecious, which means that it has distinct male and female individual organisms, hence its name. 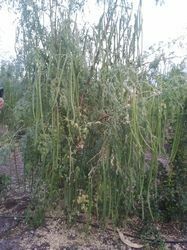 Spiny Gourd or Kantola is a vegetable of the monsoon season. It has tiny spines all over its body and that is why it has got its name as “Spiny Gourd”. It is also known as Teasle gourd, Kakrol, Kankro, Kartoli, Kantoli and Bhat korola. It is easily cultivated on unfertile soil. TC Pointed Gourd Plant is a tropical vegetable crop with origin in the Indian subcontinent. 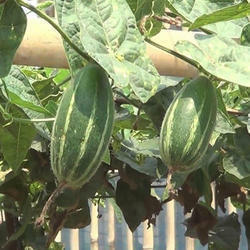 This Pointed Gourd Plant is known by the name of Parwal, Palwal, or Parmal, Pattol in different parts of India and is one of the important vegetable crops in India. In order to keep pace with the never ending demands of customers, we are involved in offering the wide range of Drumstick Plants. Looking for Vegetable Plants ?